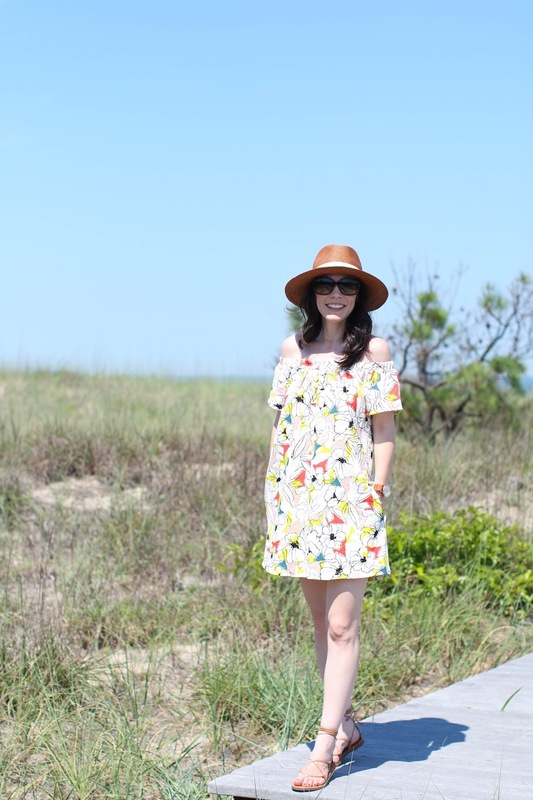 Now that we are living closer to the beach for the next few months, I find myself drawn to relaxed and casual silhouettes. 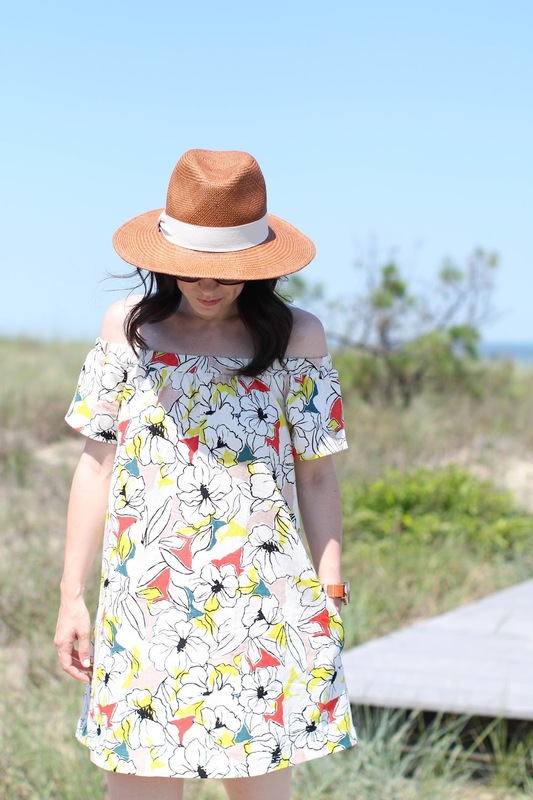 Flowy dresses, casual sandals, big hats - it's all the things I love wearing in the summer. 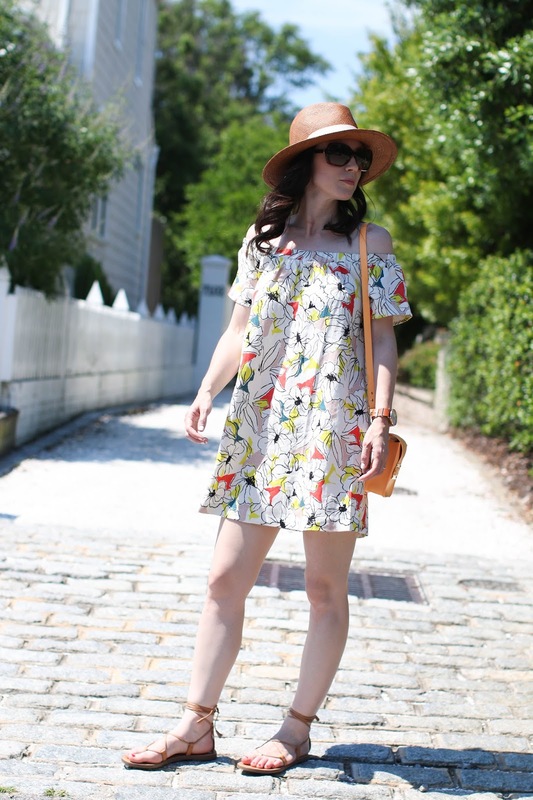 And it's always easy to gravitate towards brighter prints in the warm weather - since it feels fitting for the sun and heat. 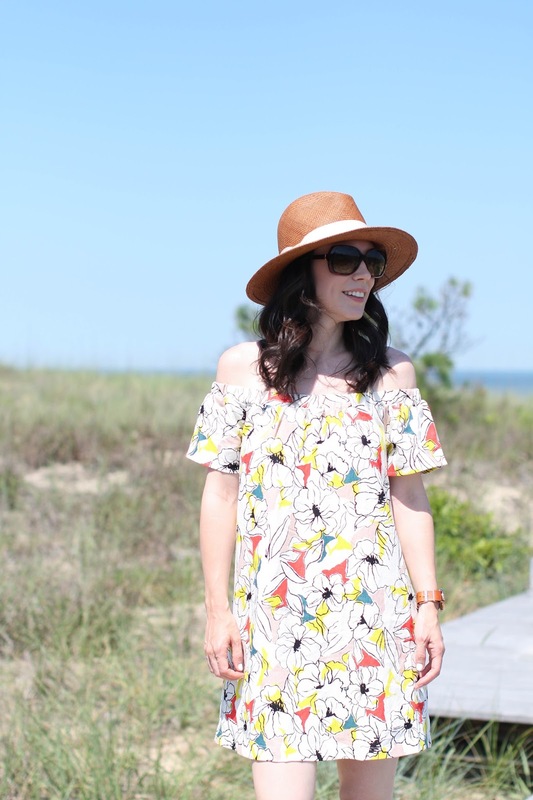 This floral print was bold but not too tropical or over-the-top, and if you are not feeling the dress version, there is a romper, tank and shorts style available in the same print. I had seen these sandals pop up here and there on my Instagram feed and I finally caved and bought them. While they seem like they would be a bit of nothing on the feet, they are surprisingly very comfortable (don't tie them too tight) and look great with almost anything in my closet. The brown seems to be selling fast, but they also come in black and a metallic finish.